It’s no surprise that research has found employees tend to delay or disengage from decisions they view as difficult and complex. In the 1980s, the struggle among employees was 401(k) adoption, even though it was the most practical retirement financial tool in the market. These days, the challenge is centered on consumer directed health plans (CDHPs) and health savings accounts (HSAs). HSAs provide the best value for both savers and spenders—and can be the tool to help employees take more control of healthcare decisions while helping them save money today on taxes and setting them up with a cushion for future healthcare costs in retirement. Employers are key to building employee understanding of CDHPs and HSAs so they’re equipped to make the right decisions at enrollment time. Here are 23 tips that all HR professionals and benefits specialists need to know to help employees adopt a CDHP with an HSA—and love it! Start by educating company leadership—they need to be ambassadors for these important benefits. Take the time to educate all employees on the advantages of CDHPs and HSAs. Use plain language that will be meaningful to them, and provide definitions to terms that might be unfamiliar. Whether you are fully converting to CDHP and an HSA or adding it alongside another plan option, communicate to employees the news about your CDHP and HSA conversion or addition well in advance—at least 4 to 6 months in advance of open enrollment. Start with the basics, and bring in the specifics of your plan design and account options as you firm up your benefit details. Change is hard for everyone, so don’t complicate the conversion by springing the news on employees at the last minute. Hold in-person meetings to explain CDHPs/HSAs well before open enrollment. Your employees need time to absorb the information. Make the meetings mandatory. If your organization is run on a shift schedule, consider paying employees to attend. Consider inviting your employees’ spouses or partners. They need to understand, too. Invite your HSA administrator to lead the meeting. He or she can answer your employees’ questions with ease. Bring the information to life through charts, graphs, and videos, and make it available on a dedicated intranet. Most employees will perceive CDHPs and HSAs as a complicated change in healthcare benefits, and reading explanatory text alone about the options won’t be enough to convince them otherwise. 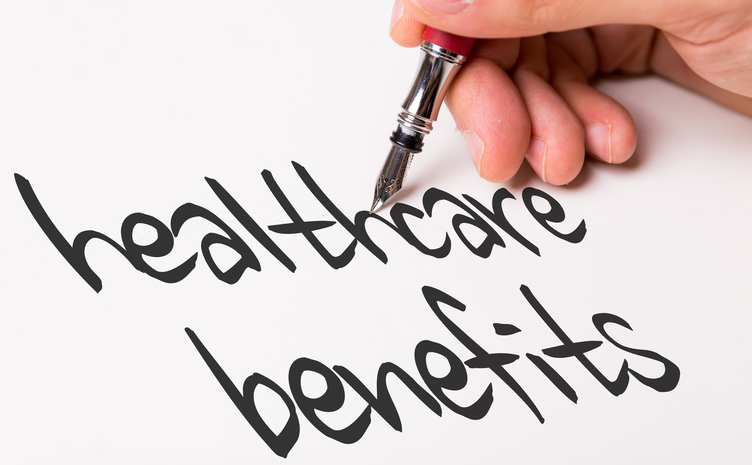 In addition, many employees don’t fully understand the true cost and value of their existing benefit plans, let alone what a new CDHP/HSA option will mean. Use comparison charts to help them see the differences. Provide cost calculators and other estimation tools so employees can see the numbers come to life. When explaining the benefits of CDHP and HSA plans, rather than use examples based on whether an employee is single, married, or has a family, stick to the best- and worst-case scenario model. A) Financially, what happens when I’m healthy and I just need regular checkups? B) Financially, what happens if I get sick and I max out the CDHP deductible? To aid employee adoption, sweeten the pot by seeding new HSA plans with employer contributions. Consider subsidizing HSA plan premiums in the early years of conversion to support enrollment. Set up HSA accounts to open automatically for employees to ensure day-one readiness. Set deductible limits below the annual contribution limit so that an employee can cover the entire deductible with HSA contributions in the first year. Help employees commit to regular contributions to their account by offering automatic pretax payroll contributions. Make sure employees know that preventive care is covered 100%. Help employees understand that they should tell their doctors they’re on a CDHP before making any decisions about care, as providers can advise on care options. Communicate the fact that oftentimes, a 24-hour nurse line is a valuable, low-, or no-cost information source for your employees’ healthcare questions. In nonemergency situations, promote virtual or online healthcare or convenience care/retail clinics as the best, inexpensive alternatives to costly emergency room visits. Encourage the use of generic medications, when appropriate, and purchasing in bulk from a mail-order pharmacy service. The medical plan or HSA administrator oftentimes has shopping, price, and quality transparency tools to enable your employees to make healthcare decisions. Encourage their use. And finally, continue communicating about the HSA throughout the year. Conduct postenrollment meetings to answer questions about the HSA and to address specific claim situations that employees might have encountered. Helping employees understand and adopt a CDHP with an HSA—when they have other options—challenges employers in many industries. At Further, our mission is to help people better prepare for and manage their healthcare spending. By employing the 23 tips offered here, employees will be well on their way to understanding the value these plans can offer. For more information on how employees can help increase HSA adoption, visit the Further Learning Center at learn.hellofurther.com for resources, including HSA savings, goal, and contribution calculators; a glossary of terms; eligible-product and -service resources; and the Group Administrator playbook, which features tools and resources that can be used during open enrollment. 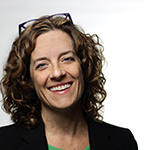 Emily McAuliffe is the Chief Marketing Officer with Further, a national leader in health spending account administration dedicated to guiding account holders across the United States in saving and spending wisely on their health care. Further serves more than 28,000 large corporations and small businesses, labor unions, retirees, and groups in the public sector by providing HSAs, flexible spending accounts (FSAs), health reimbursement arrangements (HRAs), voluntary employee beneficiary association (VEBA) accounts, and commuter benefit services. Visit hellofurther.com for more information.